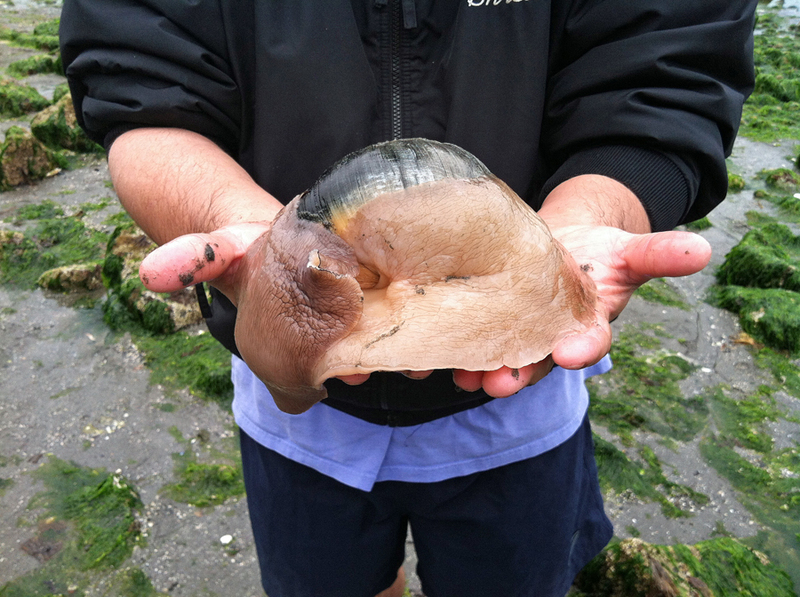 The Puget Sound gives us a unique opportunity to enjoy marine life in the Seattle area. Whether it’s walking along the waterfront and spotting sea lions or whales, or peeking through tide pools at our many incredible beaches — sea life is everywhere around Seattle (Jacques Cousteau would probably even be jealous). With that said, not all tide pools are created equal. 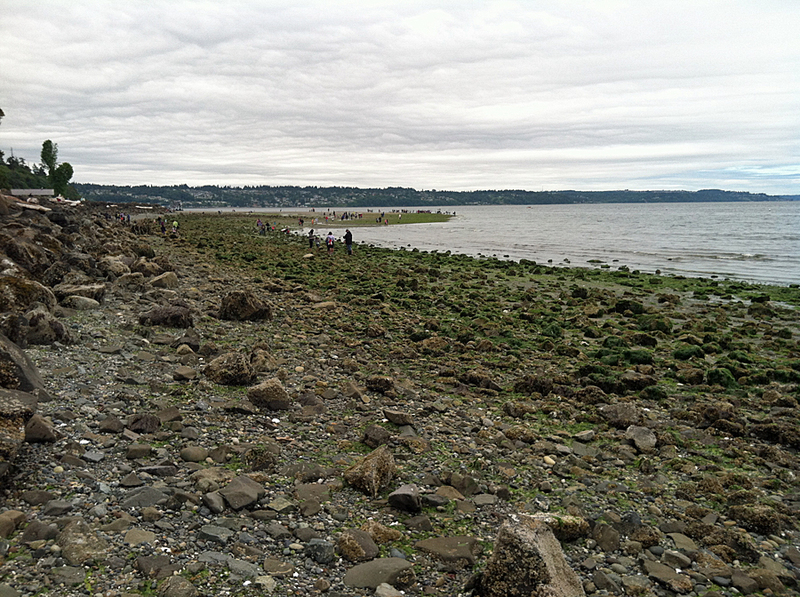 If you’re looking for some of the best tide pools around the Puget Sound — visit Saltwater State Park. My mom and I decided to go on an adventure together last Friday. 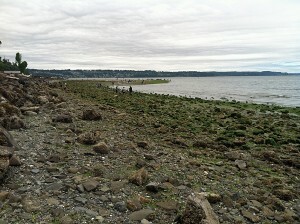 Our goal was to end up at Dash Point State Park in Federal Way, but we honestly didn’t have much of a plan. Instead of plugging the Dash Point address into our GPS, we just started driving south. As we were cruising along Marine View Drive, my mom and I spotted a sign for Saltwater State Park. We’d both heard of the park before, but we’d never been there. So, as we tend to do, we followed the signs to something new and different. A starfish clings to a rock at Saltwater State Park. My mom and I really lucked out, because the tide was low when we arrived at Saltwater State Park the other day. That means the beach was prime for tide pools. The secret is clearly out on the park’s tide pools though. The shoreline was loaded with school kids and their teachers, stomping around the beach and looking through tide pools. To get away from the crowds my mom and I strolled to the far end of the shoreline to begin our tide pool adventure. Over the last few months, I’ve figured out that the secret to great tide pools are the rocks. That’s where a lot of the marine life waits for the tide to come back in, and also take shelter from predators and/or the sunshine. The key is lifting up the rocks to see what you find underneath. There’s usually an entire world of awesome under every stone. Be sure to put the rocks down carefully though, because you don’t want to leave the critters exposed to birds, and you also don’t want to crush the sea life underneath. 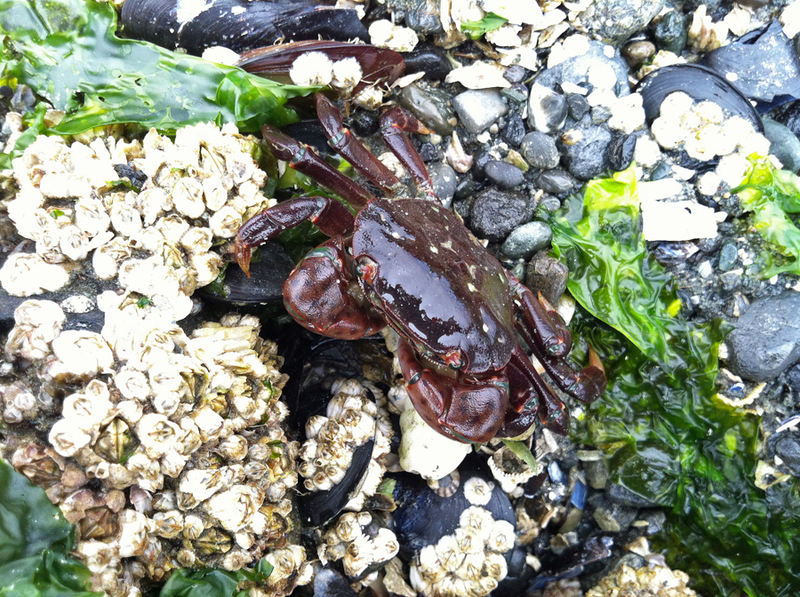 When my mom and I were at Saltwater State Park, we spotted starfish, sea anemones, a small lingcod (at least that’s what I think it was), hermit crabs, shore crabs, mussels and much more. A stranger even waded into the water and came back with a massive moon snail. I’d only seen empty moon snail shells before, so it was cool to finally see one that was alive. The tide pools at Saltwater State Park easily provide some of the best viewing for sea life I’ve ever seen. It seemed like there was a different variety of creatures under every single rock. You never knew what you were going to find next. You definitely don’t experience that at every beach around the Puget Sound, so it makes Saltwater State Park very unique. Keep in mind, Saltwater State Park is a state park, so looking at the tide pools comes at a cost. You need a Discover Pass (which you can buy at the entrance of the park or online) to access the beach, hiking trails and picnic areas at Saltwater State Park. A Discover Pass costs $10 the day or $30 for the year. Tove and I bought a yearlong Discover Pass, and we’re really glad we did. It gives us access to every state park in Washington. I’m sure Saltwater State Park is fun for a lot of different reasons, but its tide pools are the biggest attraction to me. They’re easily some of the best tide pools on the Puget Sound. They provided a glimpse at a wide variety of marine life that you can’t find anywhere else. But on top of everything, digging through the tide pools at Saltwater State Park was really fun. I’m a grown man without kids, but I still loved every second of it. I guarantee you will too if you make the trek to Saltwater State Park — just be sure the tide is out when you go there (click here for a tide chart). Have you ever visited Saltwater State Park? What did you think of the tide pools? 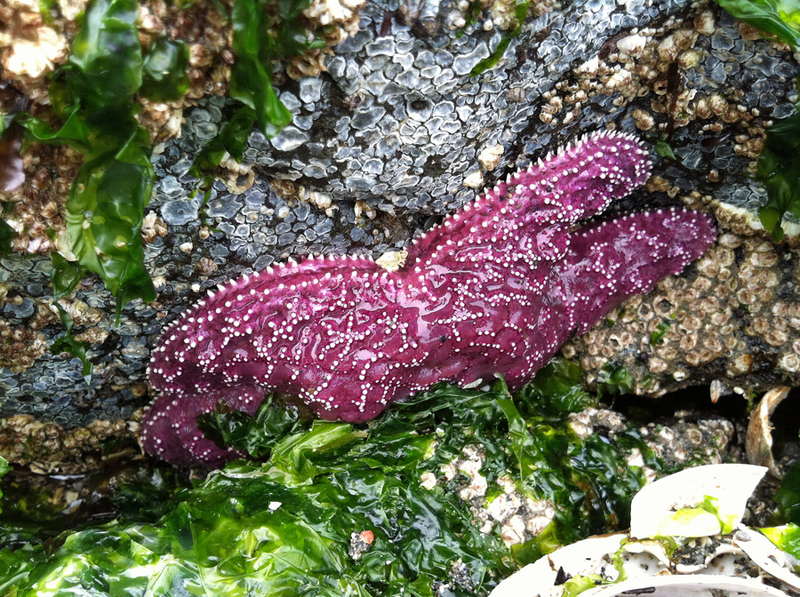 Where else do you like to check out tide pools around the Puget Sound? We’d love to hear from you! Please leave a comment below or connect with us on Twitter, Facebook and Google+. Don’t forget to also check out Seattle Bloggers for more fun recreational activities in the Emerald City and around the sound! In late spring of 1986 I put my kayak in the water at Salt Water State Park…a step that would change the course of my life. I paddled from there to Point of the Arches (not my intended destination, that had been Ketchikan). 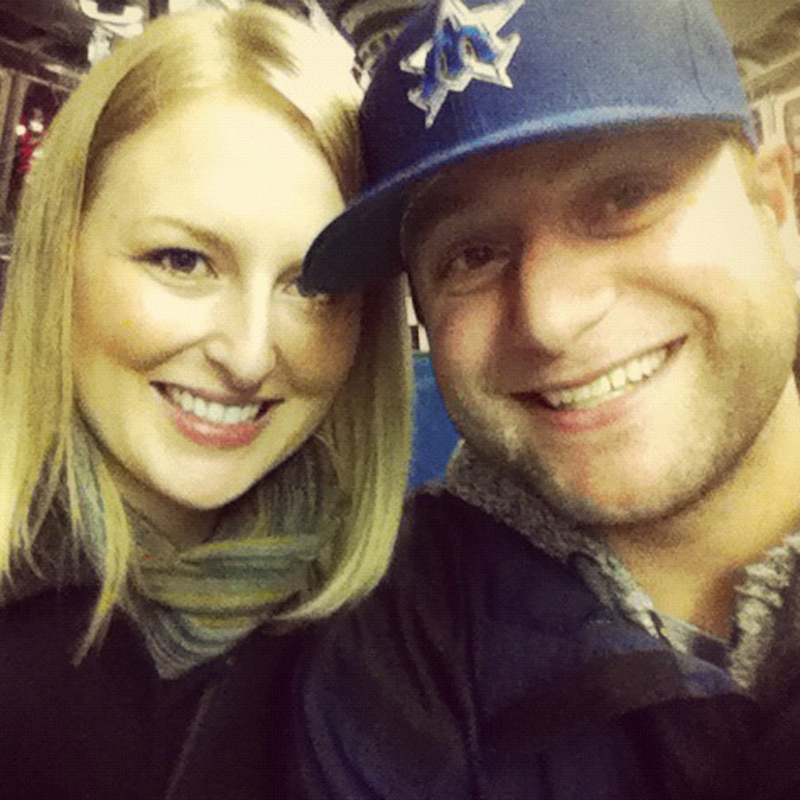 Along the way, I met the woman who would by my wife. The idea of that trip has never left me. Now I am building a Baidarka that I will paddle from Alaska. If everything works out as I hope it will, that trip will be a part of a wounded warrior trip in the spring/summer of 2018. The destination will be Salt Water State park. I have to finish that circle! Wow! That’s an incredible story, Peter. Thank you for sharing. Good luck with your Wounded Warrior trip in 2018. Please keep us in the loop on how things are going!